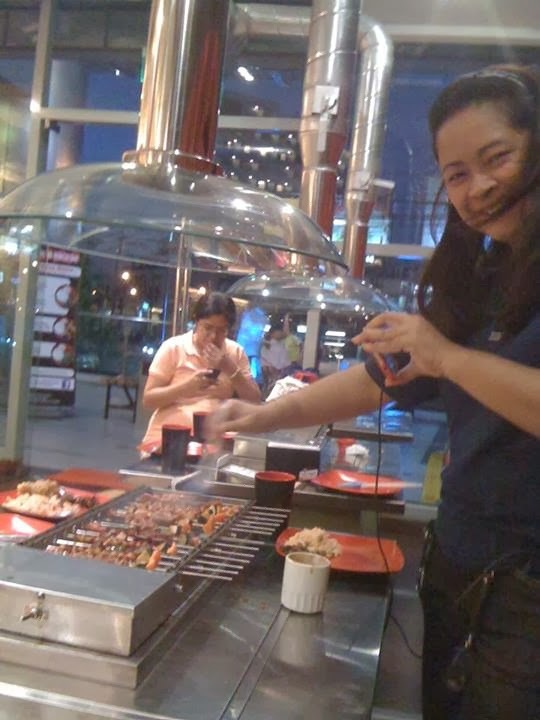 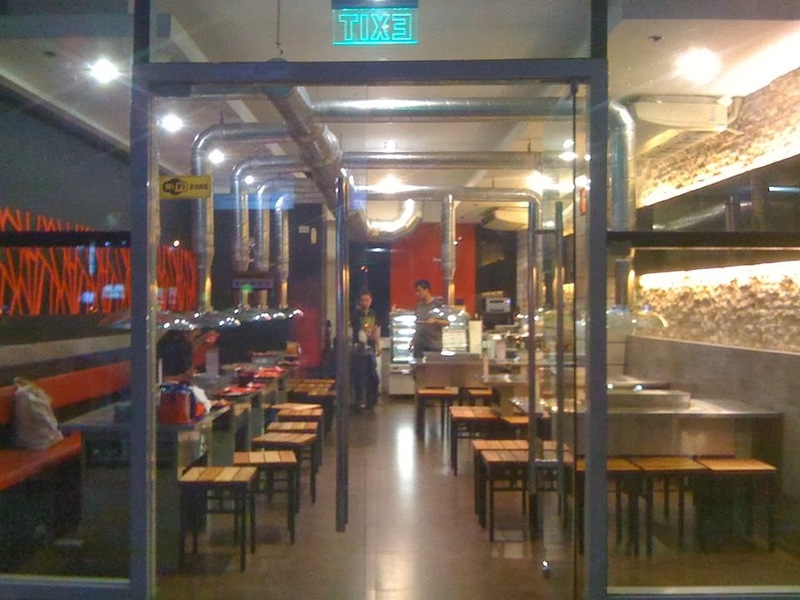 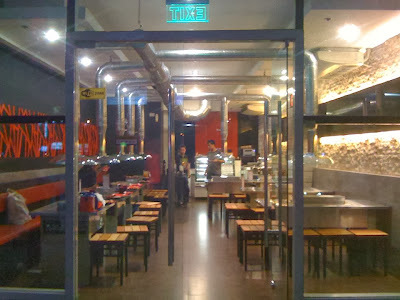 We were invited to try out the Philippines’ first BBQ skewer buffet restaurant last week and were amazed that grilling can be so much fun, indoors and outdoors! There is a wide selection of food on skewers for you to choose from. 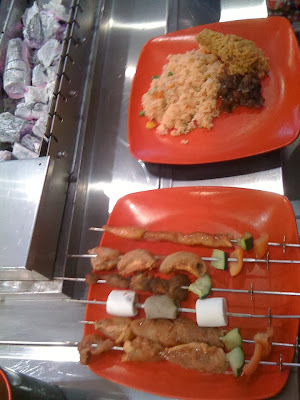 There are marshmallows, hotdogs, corncobs, fish fillets, pork and chicken meat, gizzards, pork liver, isaw (pork and chicken intestines) etc. 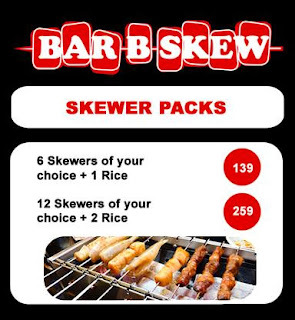 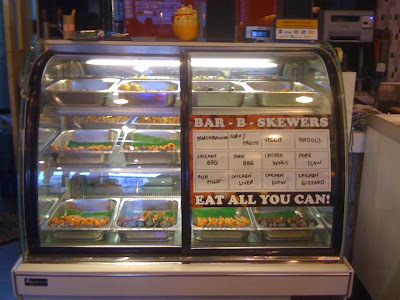 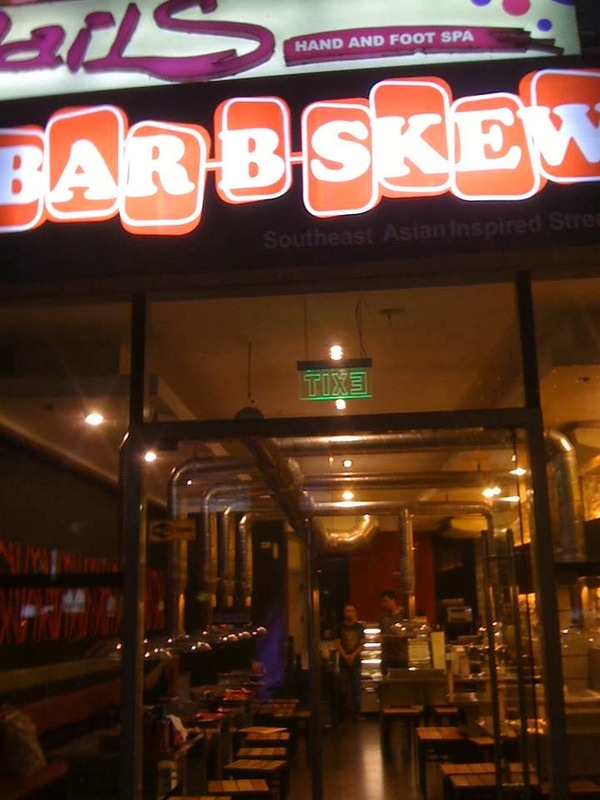 At Bar-B-Skew you will enjoy cooking your own skewers right at your table with its unique automatic grilling system that evenly cooks your choice of street food! 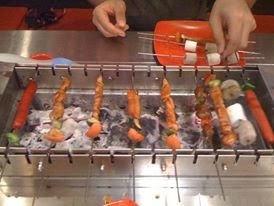 Their stainless steel barbeque equipment has a motor-driven spit that turns skewers over so that it cooks evenly on all sides. 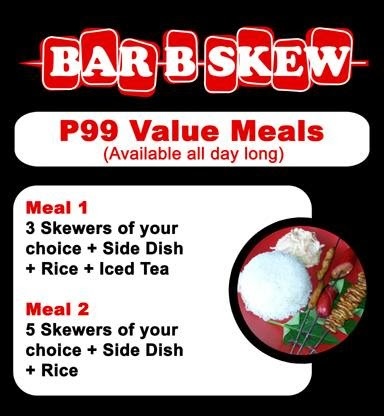 Bar-B-Skew Lunch Buffet opens at 11 AM and for just paying 299 pesos per head, you will get a 90-minute unlimited barbeque experience. 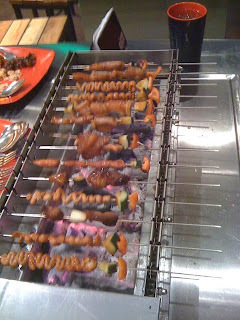 Time starts as soon as heated charcoals hit the automatic grilling station assign to you. As such, it is best to have your choice of skewers on a plate nearby with your pick of sauces to baste it. 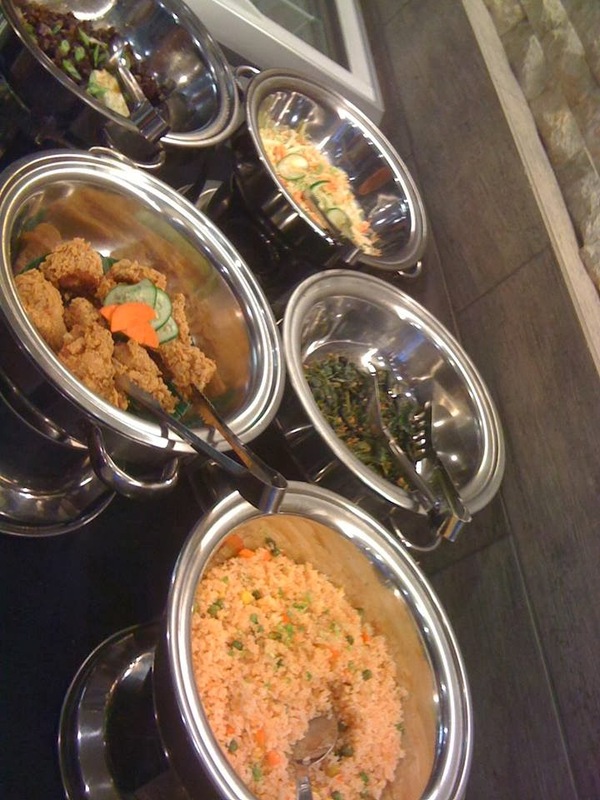 Opting for the Lunch or Dinner Buffet also gives you unlimited access to fried rice, kangkong, sisig, coleslaw and fried chicken on top of the delicious skewers at counter. 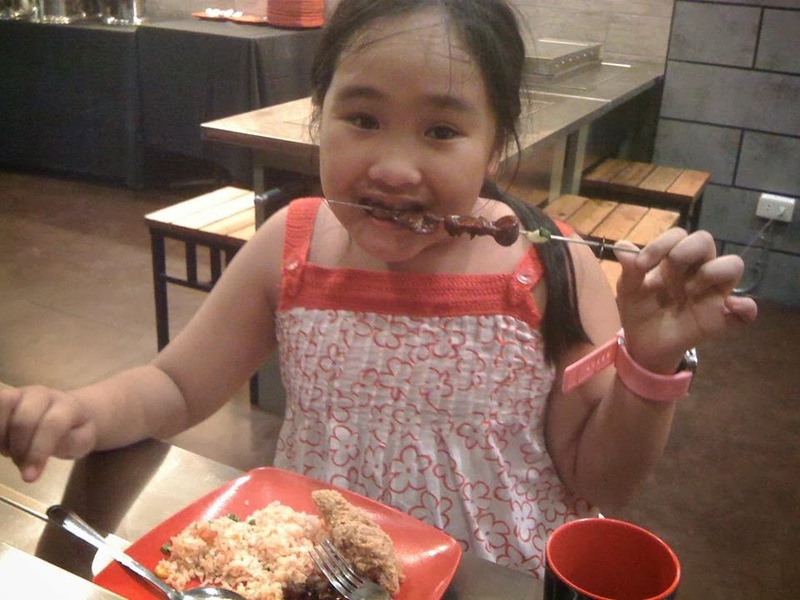 My daughter loves chicken gizzard and isaw with the garlic-butter sauce! 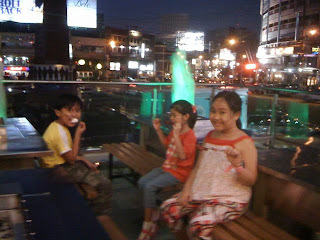 Oh this is so near my place. I will definitely visit it soon!